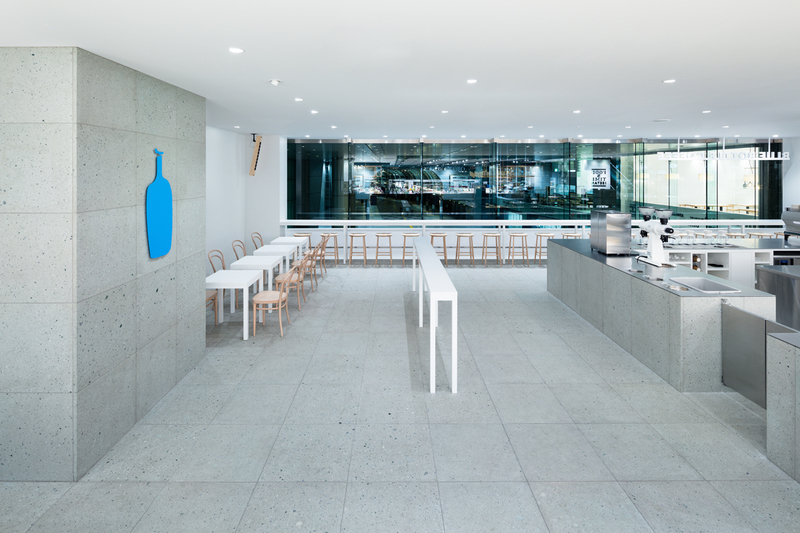 Walking through the concourse of Shinagawa Station towards the Kohnan exit, one looks up at the glass-clad shopping mall above and find Blue Bottle Coffee Shinagawa Cafe, their 6th shop in Japan, behind the glass facade. 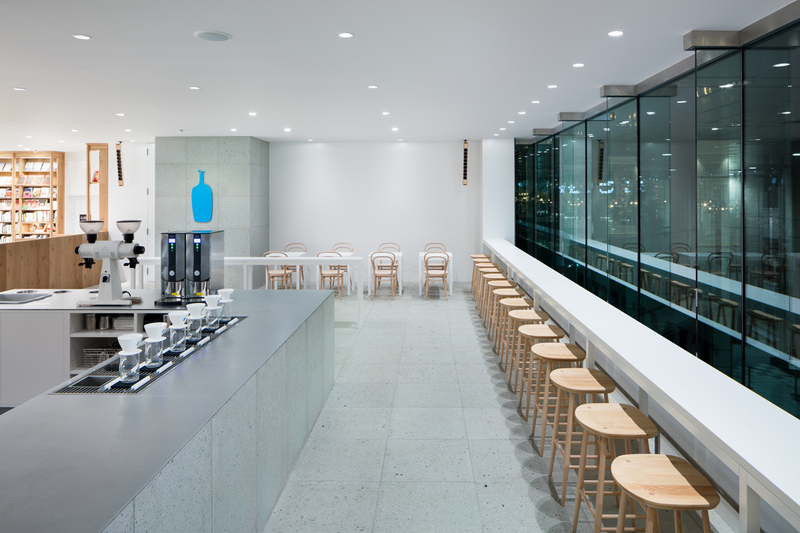 The act of “looking up” to find the place inspired James Freeman, the Founder of Blue Bottle Coffee, to imagine a “heavenly space” for the new cafe. 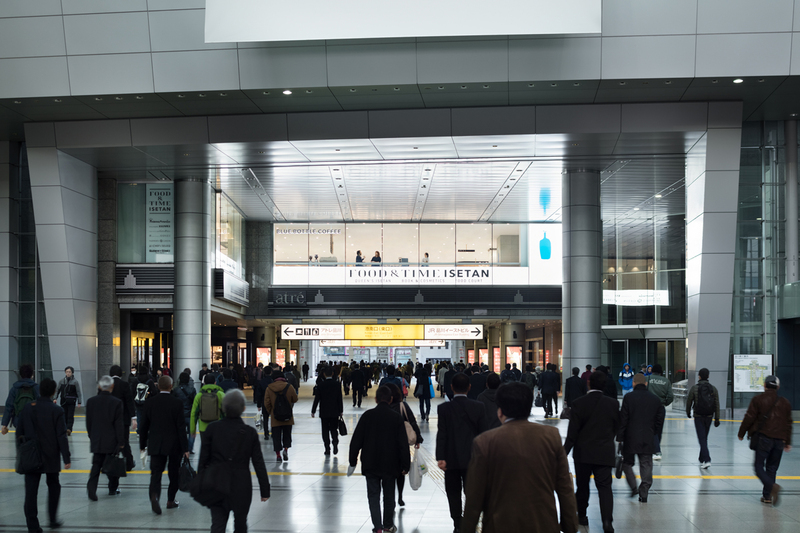 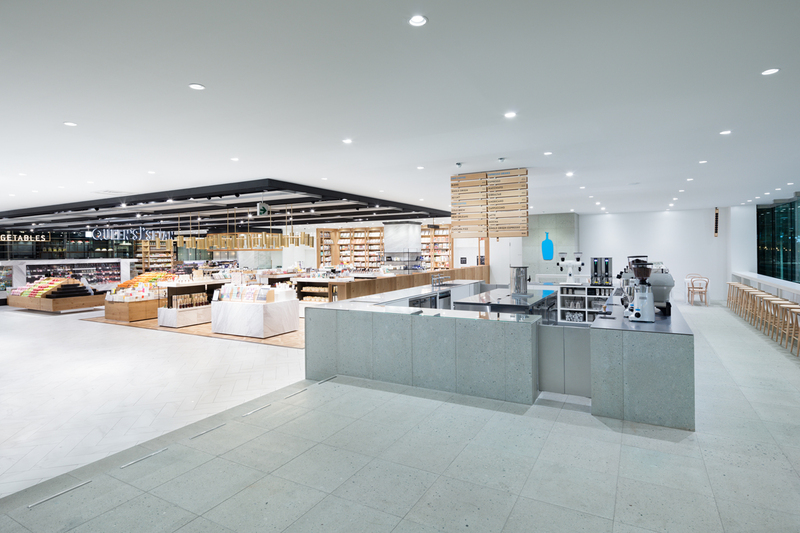 Based on this image, we envisioned a serene white space which simultaneously resonates urban characteristics of the station concourse; we chose Takigahara-ishi (white tuff stone produced in Ishikawa Prefecture) as the main interior finish, combined with wood to create a space composed of a white color palette. 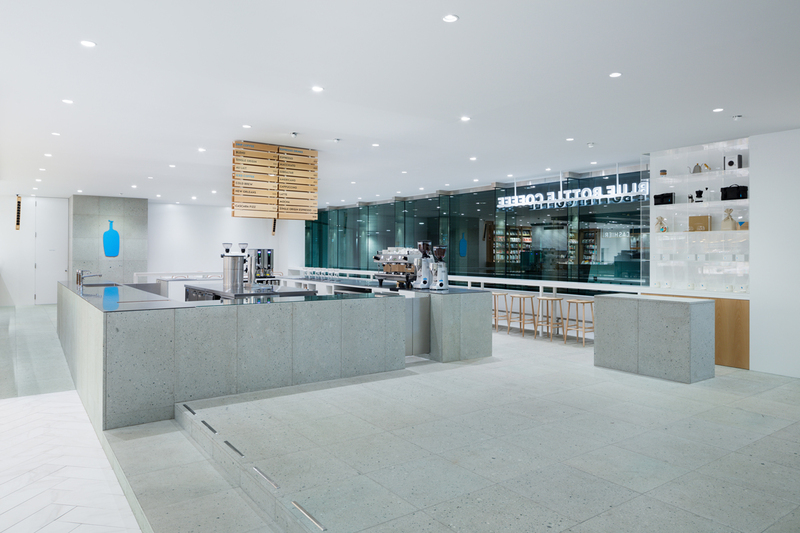 Natural hardness of the stone and the horizontal / vertical composition create a cool and sophisticated impression, while the finely textured stone surface gently receives light to enhance the serene feeling; and the stone finish is seamlessly applied throughout the floor, wall and counter paneling to create subdued calmness. 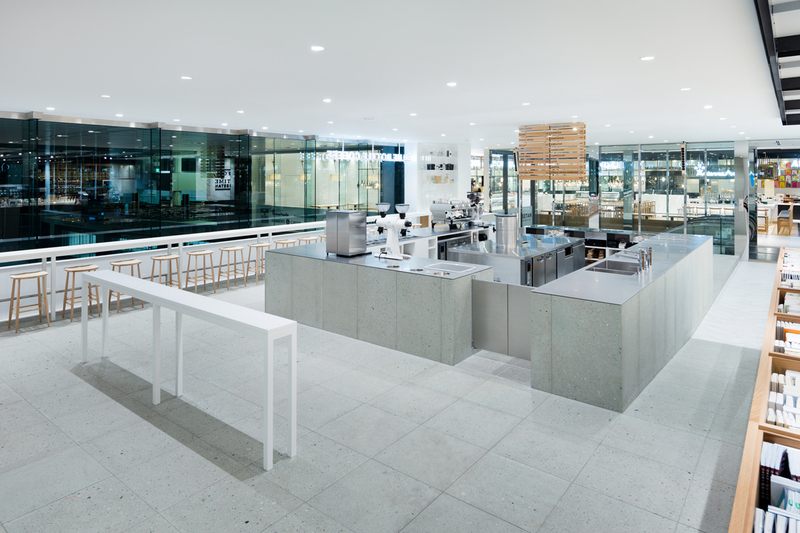 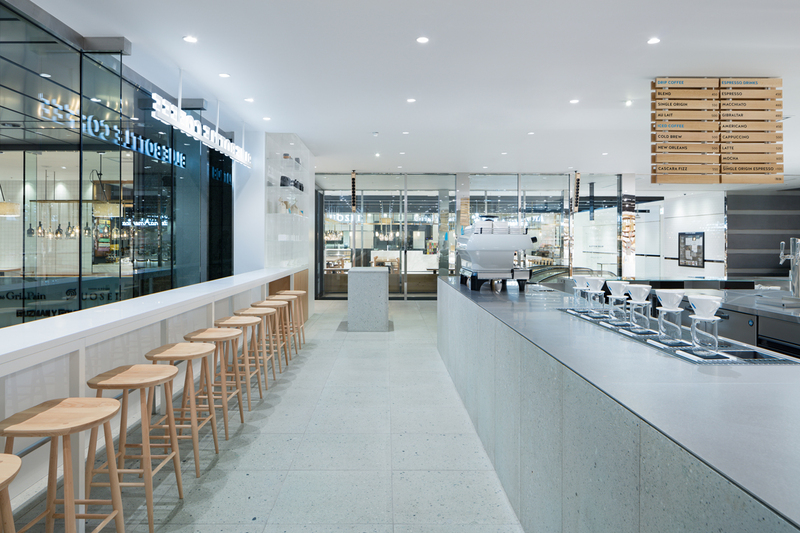 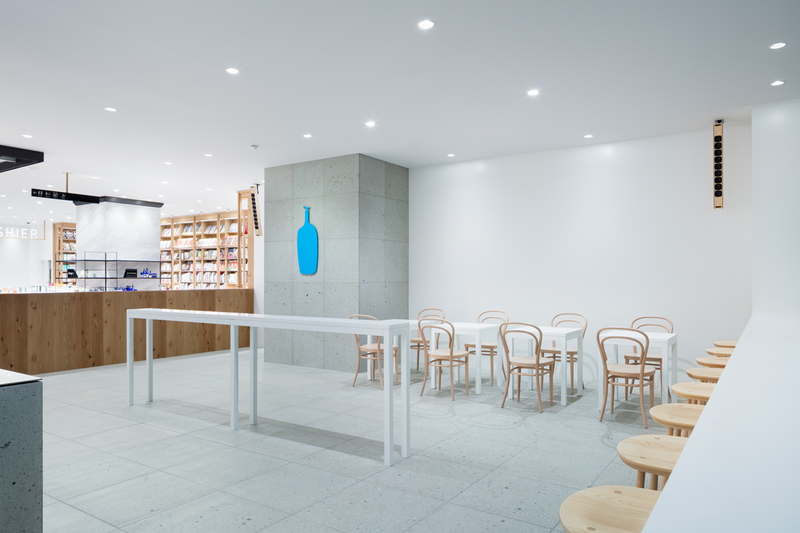 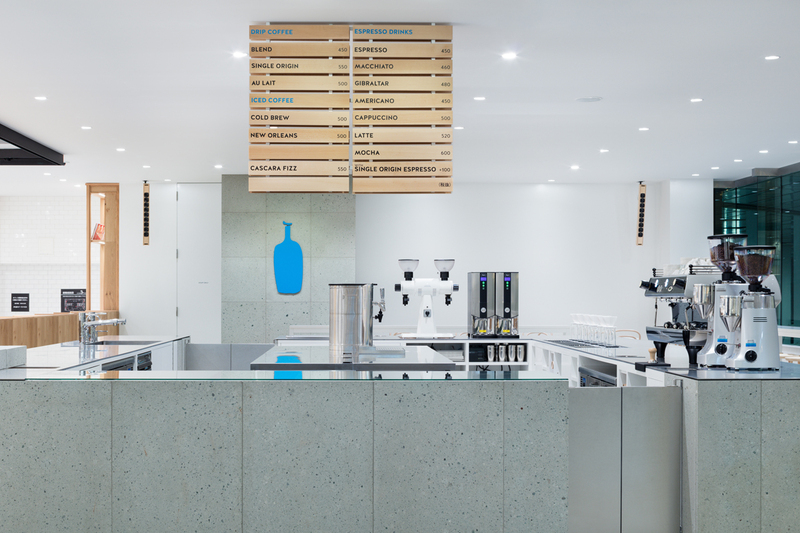 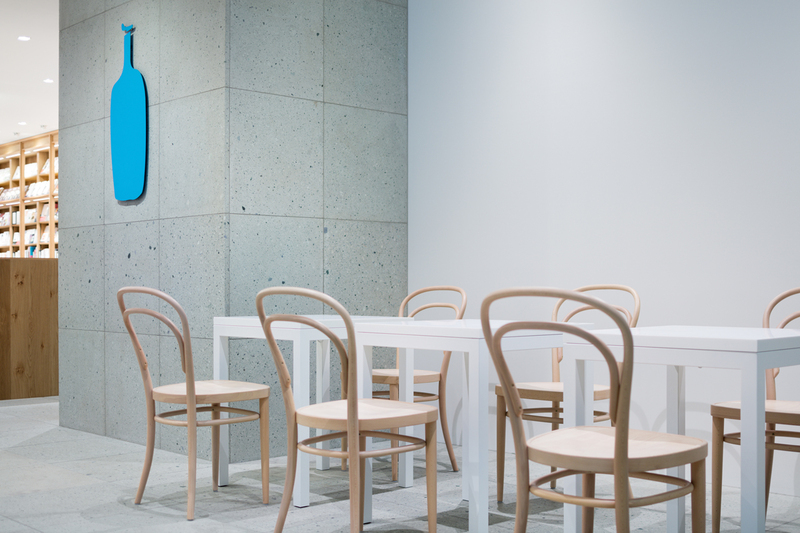 In terms of plan, a hollow-square shaped counter is placed at the center to facilitate a “fair relationship” between all people present, in the same way as the Blue Bottle Coffee Shinjuku Cafe.